RAIN! RAIN! RAIN! – All through the night. This was not in the forecast! I was awakened several times by showering rain. I’d like to know who prayed for the weather because I believe both our prayers have been answered. I actually prayed yesterday that God would do something about the severe dust problem. There is so much construction throughout the entire city due to a major subway project. That and the dust from the worksite have challenged our sinuses beyond relief. Tom and I have almost completely lost our voices (we should get the hint!). We have plenty of dust masks, but we’d have to wear them 24 hours a day to solve the problem. Anyway, when I awoke this morning, the rain was gone and the sky was turning blue. With some new snowfall on the mountains, it’s turned out to be the most beautiful day we’ve had yet. God brought the rain because He knew we needed it. For me, He brought the rain to end the dust problem. And I thank you for praying because I believe it’s no coincidence that it stopped in time for us to carry on in our work as usual. Speaking of which, let me explain a little about the project and how it’s coming along. 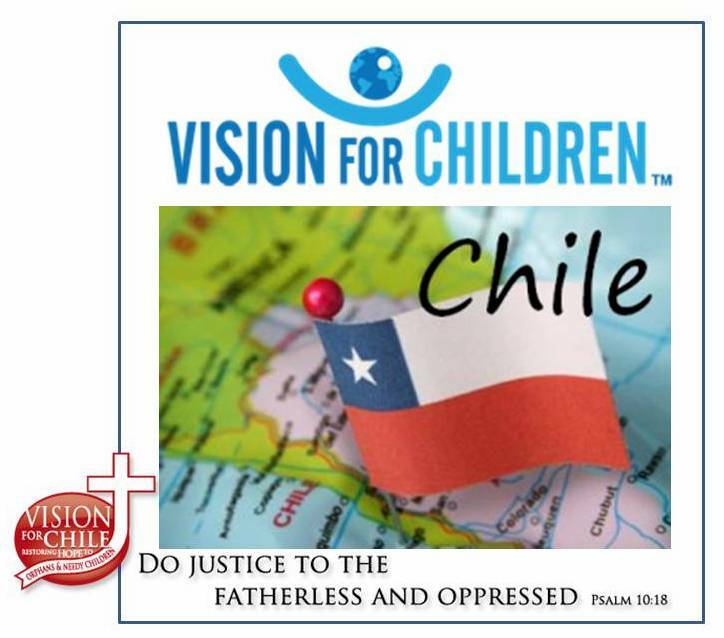 We are in the process of building a two-story dormitory at a girl’s orphanage in La Pintana, Santiago, Chile. Local constructors began months ago preparing the land, and laying a concrete foundation. They also erected some brick and mortar walls surrounding what will be the kitchen area. When team-one arrived, their task was to construct the entire framework for all rooms on both stories including the trusses for the roof. They also installed the roof and all the exterior plywood, and more… It’s incredible what team-one was able to accomplish in less than two weeks. It must be due to the expertise foremanship of Bill Imes. I know he will be more than happy to reward me generously for that statement. During the transitional weekend between the two teams, another local crew came in to install the electrical conduit and boxes, etc. Team-two has already put in two long days of work on the project and appears to be ahead of the game. Perhaps that’s because of the expertise foremanship of Chuck Bushey! Now Bill, you know I’m capable of submitting large amounts of details pertaining to the masterful abilities of Commander Bushey but I’ll wait to see just how big that reward will be. The checks in the mail, right? Because of the size of this team we are also able to help with the La Pintana Alliance Church in the construction of their second story remodel. Chuck Hull, Lee Owen, Nathan McMasters, Travis Orme, Jose, Guido and his son, made good progress laying the floor there today. An unfortunate accident caused Guido to quit work early as a board slipped through the ceiling joists and caught him just above the left eye. The injury was not serious but certainly a reminder for us to proceed with great caution. Thanks to your prayers, the Lord continues to protect us, in many ways we don’t even have a clue. And know that we are praying for you too! This morning, Scott Trickett led worship, and John Wilkins shared from the Word (1 John 3:21-22), followed by a time of prayer. Elijah headed up vacation Bible school with the help of: Katherine, Adam, Tim, Esther, Nathan Reinhart, Sarah, Lydia, Taylor, Emily, Aleiah, and Sean. Helping as interpreters were Cheryl & Susie Fugate, Wendy, and Elizabeth. Then the rest of the team joined the girls in the main dining hall for dinner and a great time was had by all. It was particularly enjoyable to watch some of our “newcomers” interact with the girls for the first time. I hear someone snoring in the room next to me and I wish it were me. Please tell Katherine her friends in Perrysburg, Ohio wish her a Happy Birthday!